Los-Angeles Based Olivia Delgado has been on the rise in the fitness and social media world ever since she posted her first picture online. She has a fan base that keeps growing year after year. 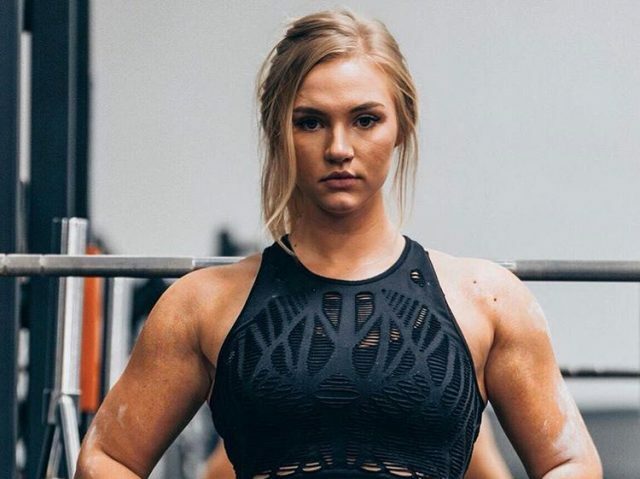 Famous for her curvy physique, more so her glutes, Olivia shows others what can be achieved with the right combination of effort, commitment, and dedication in fitness. She keeps working hard in the gym, along with eating healthy to ensure she stays in shape all year-round. Olivia also ensures she performs every rep with a slow and controlled movement. This enables her to feel maximum muscle contraction. In terms of dieting, Olivia sticks to basics, eating unprocessed and clean foods. These include lean proteins such as chicken meat, low-fat dairy, fish, farm-raised eggs, and grass-fed beef. She also consumes carbs in the form of sweet potatoes, brown rice, and whole-wheat bread. As for fats, Olivia sticks to heart-healthy coconut oil, olive oil, nuts, and avocados. She also adds vegetables to each meal in order to ensure an optimal fiber intake. However, while she primarily eats a healthy diet, Olivia doesn’t hold back on ‘cheat meals’ either. Every now and again, she’ll reward herself for her hard work with a night out with the girls. Then she’ll eat and drink something she enjoys. Since Olivia has a busy lifestyle of a model, she takes advantage of supplements such as multivitamins and whey protein to keep a healthy and fit physique. This also maintains her energy levels and improves her recovery after intense training sessions. Olivia Delgado lives an awesome lifestyle, but it’s easy to forget about the hard work goes on behind the curtains. In order to maintain her amazing figure, Olivia has to stick to a proper training and dieting schedule. In other words, she has to make certain sacrifices in order to ensure she stays fit and healthy. If there’s something to learn from Olivia, it’s that having a fit body has its costs. But if you have a passion for this lifestyle, then keeping an aesthetic physique will be a joy for you – just like it is for Olivia Delgado. You are so very gorgeous and one of the very very best on the planet!! Such an inspiration! !